Reviews of A Guide for Listening and Inner-Healing Prayer: Meeting God in the Broken Places, (Colorado Springs, CO: NavPress 2011) in collaboration with Tyndale House Publishing, Carol Stream, IL 2014. Most recent reviews are listed first. 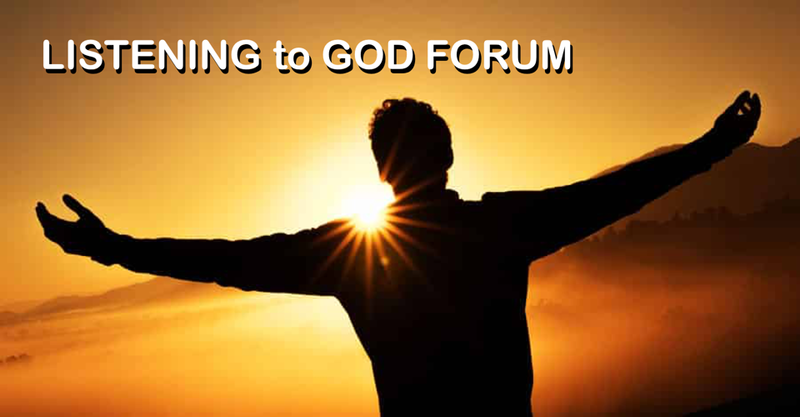 Please send your review to: L2G.Forum@gmail.com. Use of 5 Star system with 5 as highest and 1 as lowest book rating. Posted by Peggy Bienzon on Amazon.com on April 10, 2015. Posted by Kyle Lintemuth on the Amazon.com on January 4, 2015. Posted by Norma Jean Mouosulias on the Amazon.com on January 2, 2015. Posted by Thomas Wright on the Amazon.com on November 10, 2014, 2014. Posted by Anita Albert-Watson on the Listening to God Forum on October 26, 2014. Posted by bjphillips02 on Amazon.com on July 28, 2014. Posted by Samuel Perez Criado on Amazon.com on August 13, 2014. “If you disagree with my review, then by all means write your own, but please don't post comments to argue with me about what I said. Respectfully, this is a book review, not an invitation to a debate. That in a nutshell seems to be the common, well-intended default advice for people who have become Christians, but still struggle with many of the same emotional issues that plagued them as unbelievers. However, if the above-referenced prescription was "the answer", we'd all be rid of our emotional baggage by now. Sadly, many of us are not. Being human, sometimes we need that tangible "loving touch of the hand of God" (tangible in a spiritual sense anyway) to help us get over the proverbial hump. Memorizing another Bible verse or reading another chapter of Scripture has not "done it" and is likely not going to "do it", as much as we wish and hope it will. This book deals with the concept of inner healing for Believers; in short, a method of essentially "tapping in" to the insights of the Holy Spirit - and the power of God - to get to the root of long-standing struggles (of various types) weed them out, and ultimately become free of them. 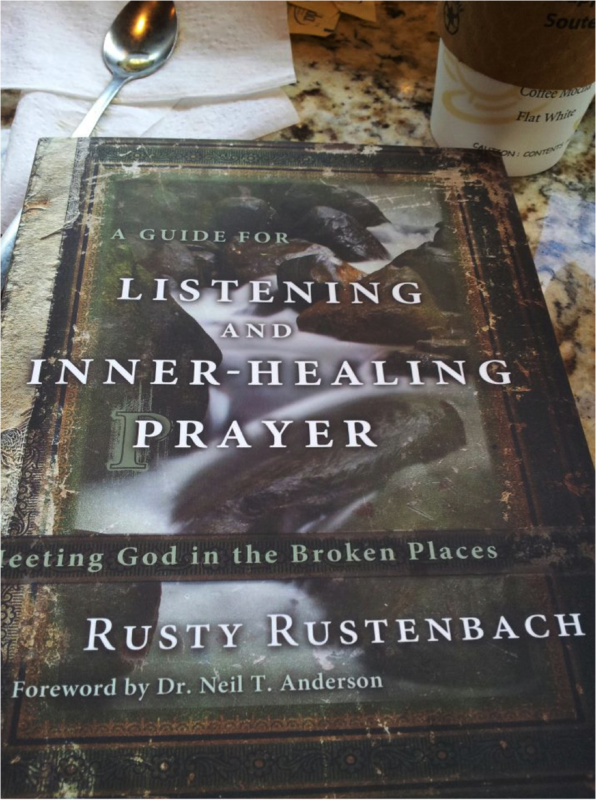 The concept and techniques are somewhat theologically controversial and not without their detractors, who feel among other things that inner healing as articulated in books like this is nothing more than people using their imagination to "picture" God doing something (in this case, healing) that He may - or may not - actually be doing. Overall, this may well be the best book on the subject I personally have come across. It lays out the concept quite effectively. That being said, I have had no real success with the method of inner healing as expressed in this, or the other similar books I have read on the topic. Posted by Just An Opinion on Amazon.com on July 14, 2014. Posted by Amazon Customer on Amazon.com on March 13, 2014. Posted by Charlene Smith on Amazon.com on February 3, 2014. “Going through this Guide is helping me get at deep-seated stuff that I still need to deal with. 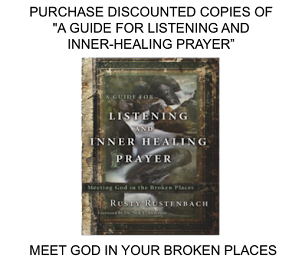 Rustenbach combines a wealth of knowledge of and experience with inner-healing prayer with a very readable, simple writing style. Posted by Dr Ag on Amazon.com on November 22, 2013. Posted by Muriel Plamondon on Amazon.com on October 16, 2013. Posted by Themnetim "Timothy Warner" on Amazon.com on October 1, 2013. Posted by kstephens on Amazon.com on September 23, 2013. Posted by Steven Cooper on Amazon.com on September 23, 2013. Posted by sb on Amazon.com October 22, 2012. Posted by Shari on Amazon.com April 19, 2012. Posted by Jim Haralson on January 14, 2012 12:43:04 PM. “If you would like a life with these 3 words as part of it this book is definitely a must. If you are willing to look at your life honestly with a view toward change and if you are willing to listen to God for help as you do this, this book will encourage you. Filled with examples it is easy to follow and understand. Do you believe that God does really know and love you. This book shows examples of people who did not believe love of God was possible for them changed as they personally experienced it. Posted by Lindy on Amazon.com January 14, 2012. Posted by Ann Marie Spero on January 1, 2012. Posted by Mike on Amazon.com December 15, 2011. Posted by Dataskatt on Amazon.com December 7, 2011. Posted by Robin Durgin on 12/6/2011 7:20:57 AM. “I really like that this book contains questions at the end of each chapter to assess your spiritual life with Christ. The chapters nicely guide individuals through answering both simple and difficult questions to better understand his or her struggles. This book is an excellent guide for both individuals and small fellowship groups to complete and go over the questions and improves your communication skills with Christ. However, I feel that this book is best used in a group setting, with at least one close friend who understands you well. That individual can help provide words of encouragement and help you stay accountable to completing the tasks at the end of each chapter. Posted by Samuel on Amazon.com on November 29, 2011. Posted by P. Creeden "The Book Ninja" on Amazon.com on November 12, 2011.